Peter Singer, a professor of bioethics at Princeton University, speaks about effective altruism on Wednesday night in Harris Hall. Singer's lecture was hosted by the Buffett Center as part of One Book One Northwestern's yearlong programming. 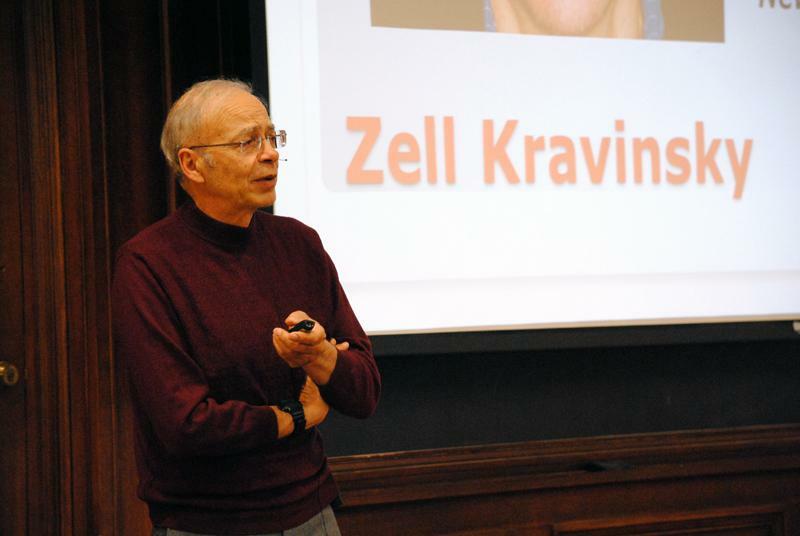 More than 300 people crowded into Harris Hall on Wednesday night to hear Peter Singer, a bioethics professor at Princeton University, speak about altruism and the ethics of charitable giving. Singer explained the basics of effective altruism, the idea of giving in a way that does as much good as possible, and invoked prominent figures like Bill and Melinda Gates and Warren Buffett to illustrate the movement’s underlying philosophy that all lives have equal value. Singer said giving effectively can be looked at very objectively. Comparing the $45 million spent by the Metropolitan Museum of Art on Duccio’s Madonna and Child painting to providing trachoma treatments in developing countries, Singer said the latter is obviously an objectively better use of money. Singer said self-esteem plays a key role in effective altruism because for many people, acting in a way that allows them to believe they are good people drives extreme actions. He pointed to people who gave away half their annual income to charity or donated kidneys to strangers as examples of effective altruism in practice. He said people have reasonable grounds for determining how much they are willing to give, but individuals need to feel that their actions are significant. He also pointed out different altruistic strategies. For example, changing the system of Western agricultural subsidies that impoverish peasant farmers in developing nations would be a high-risk, high-reward strategy with an unlikely but enormously beneficial payoff, he said. He contrasted this strategy with that of giving money to buy malaria-fighting mosquito nets, which would affect many people but on a smaller scale. Emily Hittner (Weinberg ’13) said after reading Singer’s work for a philanthropy class she took in SESP, she was thrilled to hear that he would be speaking at NU. “I think in general things like this challenge your ability to question your capacity to give back,” Hittner said. The event, which was sponsored by the Buffett Center, Northwestern Conference on Human Rights, One Book One Northwestern and the Alice Kaplan Institute for the Humanities, packed Harris Hall to the point where people could barely stand in the aisles.